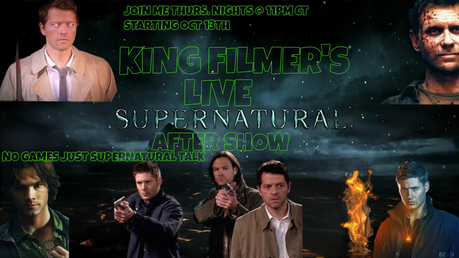 Hi everyone in SUPERNATURAL land I'm KING FILMER and every Thrus night @ 11pm CT my friends and I go live and stream on YouTube our LIVE SUPERNATURAL AFTER SHOW, where we re-watch the weeks episode and discuss live with viewers. Looking for SUPERNATURAL nuts like us to join in the stream. This week we will be discussing the actor change with Lucifer. Hope to hear from you.